Despite its unquestionable power, I left this movie troubled as much by what I felt to be a false note as by its indictment of the cruelties of slavery, whose dreadful heritage still haunts the American conscience and scars the American soul. For a contemporary artist of serious aesthetic purpose, David Hockney enjoys immense, perhaps unequaled public visibility: the shock of dyed blond hair, the owlish glasses, and the shy, schoolboy grin are known as much through the popular press as through the journals of the art world. 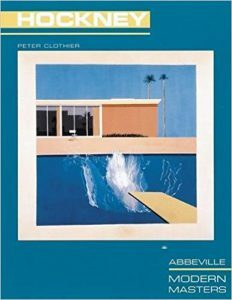 His engaging personality, his quirky but always enlightening ideas about art, and his inexhaustible inventiveness both of imagery and of techniques ranging from oil painting to photography to faxes are captured by Peter Clothier with clear-eyed intelligence and grace in this concise but comprehensive overview.